I read “Why 8% of sales people get 80% of the sales“ written by Robert Clay with Marketing Wizdom that emphasizes the importance of follow up. As a sales manager, you are tasked with contacting prospects on a daily basis in an attempt to educate them on the value proposition that your hotel has to offer but did you know that studies reveal that only two percent of sales occur when two parties meet in person or over the phone for the first time? The two percent that are in a position to book your hotel have already conducted some prior research and already know what they are looking for. One would assume that research included your hotel’s location, your brand, amenities and other identifiers that were made available through your hotel’s website. That means that 98 percent of the prospects you meet or contact for the first time are not in a position to say “Yes” and will only book once a certain level of trust has been established by you. There are a variety of reasons why a prospect isn’t in a position to pull the trigger at your hotel and that’s OK because there are just psychological and transactional realities you must become aware of and recognize. For these reasons, your follow up is key to your success in eventually winning over the prospect. If you want to change that, read on. Here are some stats that should open your eyes as to the importance of follow up. Simply put, 92 percent of sales people throw in the towel after being rejected four times and only eight percent of sales people put themselves in a position to ask for the order a fifth time. That means that eight percent of the sales people are getting 80 percent of the sales. Think of it this way. If you contact a prospect on five different occasions, he will most likely say “No” four out of five times so if you design a strategy that includes a fifth contact at some point in time you will have a better chance in either solidifying your relationship and/or potentially booking business in the future. 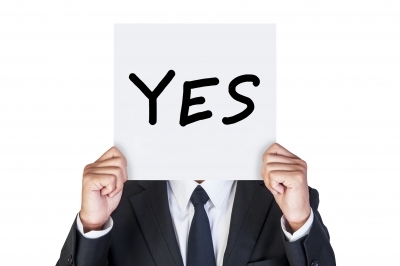 Where are your “No’s” and how can you begin to transition them into a “Yes”? How many leads come to your hotel direct, via an eRFP channel or through another source? When you can’t place the business in your hotel for whatever reason, what happens with that lead? The first place you need to look is in your hotel’s Customer Relationship Management (CRM) system. Once you have identified those who said “No”, you will need to develop what Clay calls a ‘Five No’s’ strategy that will help to put you in a better position to convert that prospect over a period between nine and twelve months. If you struck out once, the idea is that you will have to contact that prospect over the suggested timeframe four more times. Your contact strategy should include a compilation of telephone, email, handwritten note, and an invitation to visit your hotel for breakfast/lunch/dinner/site inspection/FAM trip (whatever the budget will allow). First, send a compelling email that contains a personal message from you and a call to action that is designed to produce a response. Before you construct your email, read about these 4 Email Fails That Hotel Sales Managers Must Avoid. This is Mary Jones from the ABC Hotel. We were unsuccessful in placing your annual business meeting at our hotel and would welcome the opportunity to work with you again in the future. The ABC Hotel has (insert your value proposition here). I will follow up with you again in the near future but in the meantime, please feel free to contact me at your convenience. Follow up the email with a personal call and make sure that you have something of value to discuss with the prospect other than just calling to check in. If you follow the prospect, on say LinkedIn, you can glean something from his profile or his company’s page that can spark an intelligent conversation. Feel free to leave a voicemail message that refers back to your previous email along with a call to action at the end of your message. Follow up your call within 30 days with a handwritten note and another call to action. Follow up your call with an email or other form of communication and invite the prospect to personally visit your hotel using any of the suggestions referred to above. Your turn. What other strategies would you include in this campaign?